Bookplate Ink’s website encourages people to call or write if they don’t see exactly what they want in our pages of designs. When possible, we are happy to make changes to a design to fit the needs (or even whimsy!) of a customer. Author William Landay recently made such a request. Like many other authors, he wanted bookplates with room for him to autograph them for readers. Oftentimes, authors use one of our border designs, such as N100, shown here. 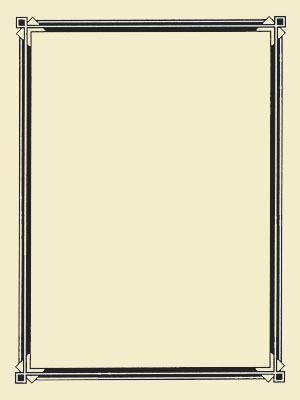 This elegant yet bold border, printed on cream colored paper, leaves plenty of room for a comment and signature. We have a non-personalized version of this design, but can also print an author’s name, the title of their book, or even include a logo with our personalized version. But Landay requested changes to our design A124 to fit his needs. 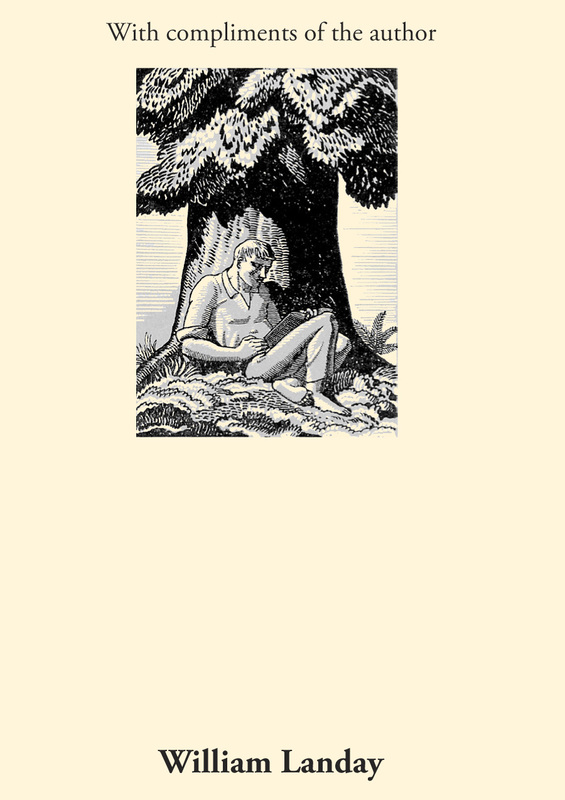 A124 is one of our designs with artwork by renowned artist Rockwell Kent, originally printed in the 1950s by the Antioch Bookplate Company. 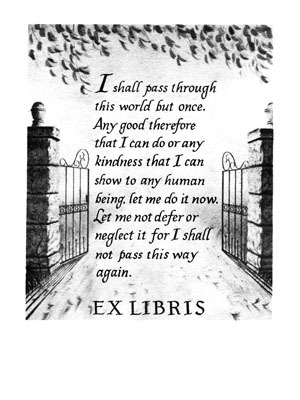 After many requests, we brought this bookplate back into print several years ago. For Landay, we made the artwork much smaller so that he would have room to sign his name and make comments. He requested “With compliments of the author” and his name be printed on the plate. Another design that has been altered for customers is B217. Introduced by Antioch Bookplate Company in the 1960s, this design was created by Tom Eaglin, using the inspirational quote attributed to Quaker leader William Penn. We have printed this design without the “ex libris” text, which is Latin for “from the library of,” and without any text at all. 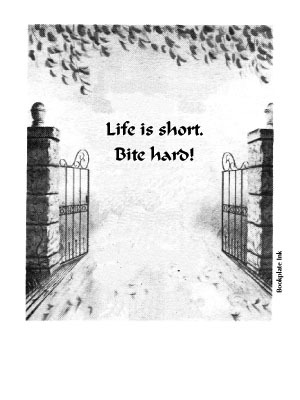 With text that is vastly different from the original Penn quote, author Jeaniene Frost has used this design to create a bookplate that suits her style and books.